Home BUSINESS HEALTH SUKUMA WIKI: This is how you are feeding yourself to the grave. SUKUMA WIKI: This is how you are feeding yourself to the grave. For decades, Sukuma Wiki (Kales) has been the perfect accompaniment for one of Kenya’s most popular culinary offers — a plateful of ugali and is now one of the most consumed leafy vegetables. Sukuma Wiki in Swahili literally means push through the week, depicting just how common place it is on Kenyan dinner tables. However, have you for one reason or another ever asked yourself the source of your favourite veg? if you haven’t, then we will give you a reason to…. Starting today. Much of the sukuma wiki on sale in urban centres is highly contaminated and poses a serious health risk to consumers. About half of the farmers within a 20-kilometre radius of Thika Town who practise irrigation farming use poor quality water to grow their crops. According to a previous study conducted by the universities of Nairobi and Sweden revealed that this water contains the full spectrum of disease-causing organisms found in the urban population, many of which can survive for several weeks when discharged onto the fields. The researchers tested random samples of kales collected from different sections of Nairobi for coliforms, a broad class of bacteria found in the environment including in human and animal waste. Though coliform bacteria are unlikely to cause illness, their presence in drinking water indicates that disease-causing organisms (pathogens) could be in the water system. Other organisms tested for was E.coli a group of bacteria some which can cause diarrhoea, urinary or respiratory illness while the third candidate is salmonella bacterium which can cause serious food poisoning. Most of these sukuma wiki were found to have higher organisms associated with faecal matter. These germs, mainly from water used on farms for irrigation and in the markets for washing the vegetables, was found to exceed levels recommended by the World Health Organisation (WHO). It is no hidden secret that many manufacturing and residential habitats discharge their wastes into our rivers. Consequently, quite a good number of urban farmers use this untreated effluent water to grow kales. 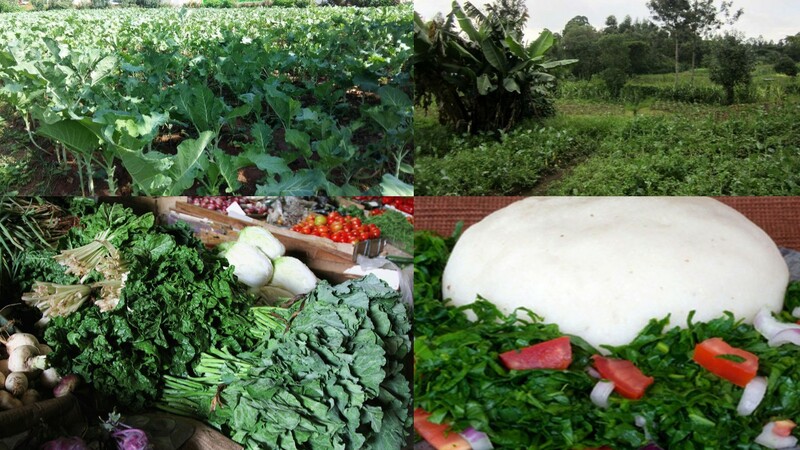 The result of this stomach-churning version of urban agriculture is that quite a considerable number of urban residents are eating highly contaminated sukuma wiki. Seems like if one is not being fed on donkey or dog meat, they are having feaces flavored sukuma wiki. Huh! Contamination by feaces or urine originate from animals or human waste disposed into water sources used for irrigation and also from wrong use of manure. In some of Nairobi’s vegetable-growing hubs for instance, farmers were found to be using liquid slurry from sewers which, apart from providing water to the crops, is also regarded to be “rich in nutrients”. The soils and the plants in such areas contain high bacterial and parasitic loads. As expected, these contaminants were recorded mostly in the stem and leaves thus raise health concerns since the leaves are harvested for human consumption. The sad reality is that majority of those who buy vegetables from the open-air markets (or even supermarkets and groceries) do not query about their source. All they are interested in is the product and not the process that leads to its maturity. There is also a possibility of contamination during transportation as most traders transport the vegetables using open trucks, while others carry them on their backs. Case studies reveal also confirmed the sad news: greedy farmers have taken to short cuts to produce this Kenyan piece of cuisine also known as ‘collard greens’. The farmers are aware of the hazardous methods used to irrigate the plants and even the location of their plantations, but do not seem to care. Other than sukuma wiki, other vegetables planted in these most unlikely of places include arrow roots, spinach, traditional vegetables, tomatoes and herbal medicine. The locations of these shambas are good enough in the sense that one does not have to rely on the rainy season. They can harvest up to four times in a week and make a lot of money. Over to you now.. The next time you enjoy that delicacy, make sure you inquire about its source.